High cholesterol usually increases the risk of heart diseases. A normal cholesterol level is essential for a healthy heart. 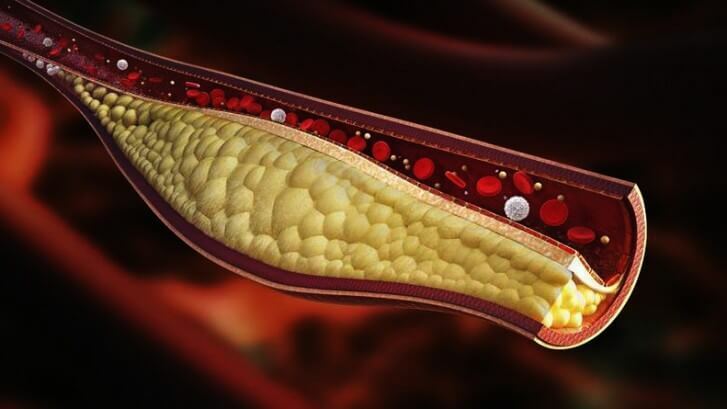 Cholesterol levels not only affect your heart but can have a negative impact on your entire vascular system. Vascular diseases generally lead to strokes, pain while walking and death due to a ruptured aortic aneurysm. High level of LDL (low-density lipoprotein) cholesterol is one of the major risk factors for vascular heart diseases. The common complication associated with vascular diseases is paralysis, blindness and speech abnormality. In severe cases, it can also lead to stroke and death. The vascular system is mainly comprised of arteries and veins. The healthy vessels are generally smooth and unobstructed that usually allow oxygen-rich blood to flow freely in your body and deliver required nutrients to different organs. As you grow older, the vessels build up plaques. Plaques are nothing but sticky substances that are usually made up of fat and cholesterol. When the plaques develop in your vessels, it narrows your passageway within the blood vessels thus, make them stiff. Vascular diseases usually develop when the vessels become too narrow and limit the flow of blood to a maximum extent. To control your cholesterol levels, you need to follow a healthy diet plan that does not contain excess of cholesterol. Add more fruits and vegetables to your diet and try to munch on low fat or fat-free snacks. Your daily diet should not contain an excess of saturated fats. You can also control your cholesterol levels by controlling the portion size of your meals. Physical activity or walking for 30 minutes daily can also help in maintaining normal cholesterol levels in your body. In case if you are unable to control your cholesterol levels, you can consult your doctor for medical assistance. The peripheral arterial disease mainly occurs when the peripheral arteries in your legs become too narrow or obstructed and limit the blood circulation to the legs. Pain is usually reported during peripheral artery disease when left untreated. Stroke and heart attacks are also reported in severe cases of the peripheral arterial disease. You may also experience difficulty in walking and resting pain in the foot while sleeping. The common complications associated with peripheral arterial disease, if left untreated include Foot pain, non-healing sores, infection in toes and in severe cases it can lead to limb loss. An abdominal aortic aneurysm is seen when the wall of the aorta becomes weak and starts bulging. Abdominal aortic aneurysm continues to enlarge as the time progresses and eventually rupture if left untreated. Rupture of abdominal aortic aneurysm leads to severe internal bleeding and may lead to death in severe cases. Vascular diseases can be treated with early diagnosis. When you come across any symptoms associated with vascular heart disease, you must consult your doctor to treat your vascular problems. Vascular surgery is required in severe cases of vascular diseases that can be performed under the supervision of vascular surgeon in Hyderabad. Ã‚Â Dr Abhilash Sandhyala is the best endovascular surgeon in Hyderabad who can treat the vascular diseases successfully with positive results.